How much heat does your house lose? The average house continually loses heat. To give you some kind of indication as to how much heat your house is losing, we’ve broken it down in this latest blog. Good levels of insulation will help to reduce heat escaping from your home. Mineral wool and fibreglass materials help to trap warmth within roof spaces, cavity wall filling stops heat escaping through the sides of your house. This infographic gives you a clearer idea of where your house is losing heat. Take heed of the warnings this winter and your home should be cosier and more energy efficient as a result. Loft insulation – You can insulate your loft on a diy basis. Wear protective clothing, gloves and goggles if you are using fibreglass and cover the floor of the loft with at least 270mm of insulating materials. Draught proofing – Go around the edges of windows and doors with draught proofing materials. Sausage-shaped draught excluders are cheap to buy and you just drop them at the base of your door. Wall insulation – See if you are eligible for a government grant and insulate the walls of your home. It’s a sensible precaution and it might just make your house a little warmer this winter, plus save you money in the long run. Floor insulation – Cut energy bills by adding a little floor insulation. Adding floor insulation can save anywhere up to £75 a year. Double glazing – Add an extra layer of glazing and not only does it keep heat in the home, it reduces noise levels too. 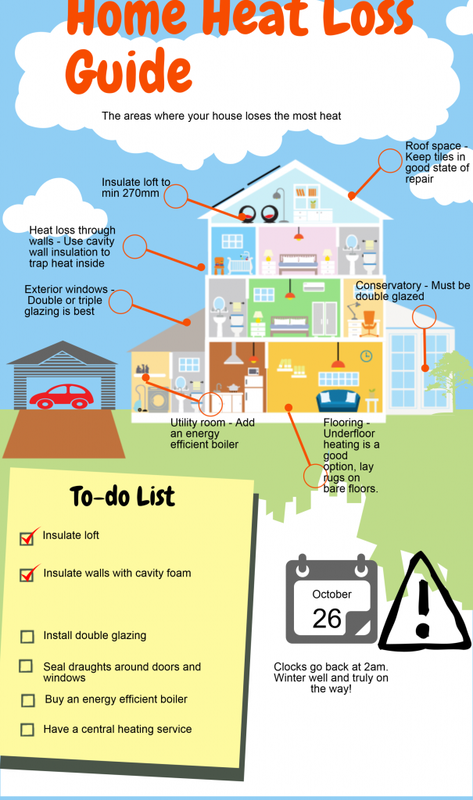 Now that autumn is fast approaching it’s the ideal time to consider heat loss around the home. Call Sovereign for assistance with heating systems, we’re the mechanical and electrical specialists.